Benzodiazepines Overdose: What is it? Benzodiazepines or also referred as “benzos” are drugs that we use to treat many problems. These are stress or panic attacks, tensed muscles, seizures, and alcohol withdrawal. People use Benzos with sleeping issues like insomnia. We give it as a first-line of treatment, and only for a short period. Benzos are also sedative drugs, Which slows down brain activity and causes a calming effect on the person. Misuse and abuse of benzos could lead to an overdose (OD) and can lead to a life-threatening case. Benzodiazepine users may gain high tolerance on this drug. Hence, when in use for long periods. When this happens, and the user no longer feels the effect they wish. They might increase the use and doses. Therefore, increasing the use of benzos could result in an overdose. Overall, it would make you go to the hospital for medical help. What to do if there is a case of Benzodiazepines overdose? When the medical team arrives, the person with benzodiazepine overdose will be brought to the closest hospital. Many medical treatment and tests will be performed to help to breathe. They will give fluids and other medicines to help. A doctor and nurses will try to reverse the side effects of an (OD). There are many drugs given to a person in an emergency and one is flumazenil. They can use it on the benzodiazepine receptor and reverse the sedative effects of the (OD). Flumazenil can be given to an unconscious person to regain consciousness and reduce the possibility of coma. 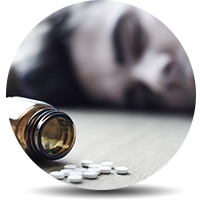 Closely watching of the person’s health is done to assess the side effects of an overdose. Recovery from ODing depends on the amount of drug that’s in use and the person’s condition. How to prevent Benzodiazepines overdose? Comply strictly with the instruction from the doctor. Watch some doses, time of intake as well as the proper way to take the drug. Be aware of the side effects of the drugs you are taking. These include those medicines you can get over-the-counter. Don’t mix the drug with other drugs and substances like alcohol. Notify your doctor immediately if you are feeling sick, and the side effects are affecting you. Either both physically and mentally. Keep drugs and other medications in a secure area like a cabinet with a lock. Don’t take drugs which have past the expiry date. Keep information for yourself and your family about the consequences of misuse, abuse, and overdose on drugs. Developing addiction to benzodiazepines should be taken seriously. Because developing the addiction could progress and do further harm, both physically and mentally to someone. Also, if you know anyone with drug abuse and problems, don’t think twice of doing early intervention. First of all, find help from a doctor right away. What are the possible treatments for Benzodiazepines addiction? It’s the first-line of help to a person’s problem. Because of benzos abuse, there’s growing addiction to this drug. The user will have to go to a hospital while under the watch of a medical team. Doctors and nurses do many medical tests to eliminate the toxic drug in the body. Finally, hoping to reduce the danger and side effects of the benzos withdrawal process. This type of treatment can help treat person’s addiction problem and help him/her. Overall, learning the best approaches to cope with the factors that prompt the user to this drug again. This type of treatment is for benzos users and if they want to use the outpatient program. The average time for this treatment will last one hour per week. While also depending on the user’s level of and need for benzos. It’s one of the best treatment options for patients who have to go back to work, school and other obligations. Another type of treatment to help with the problem of addiction is (CBT). This treatment could be done both for inpatient and outpatient. We use it to help people and to focus on the problem, deal with bad thoughts and cope with the cravings. Addiction Resource » Addictive Substances: The Anatomy of Drug Addiction » Key Facts About Benzodiazepines and Abuse of the Medication » Benzodiazepines Overdose: What is it?